There's a lot more to snakes than most of us know. They are as intriguing as they are scary. 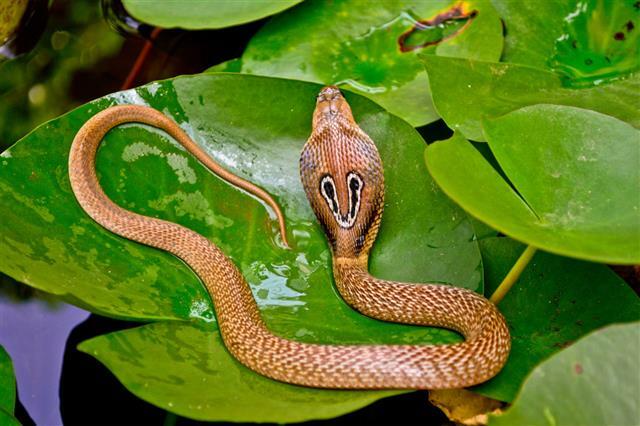 An insight into the world of these fascinating reptiles proves why. The word snake is derived from Old English snaca, meaning to crawl or to creep. 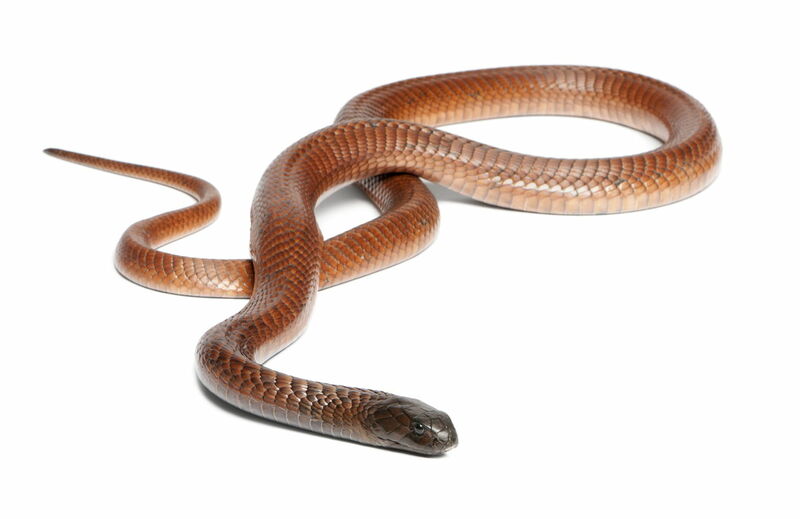 Snakes are said to have descended from lizards. A snake's vision is adequate, although not sharp, allowing them to only distinguish light from dark, and track movements. 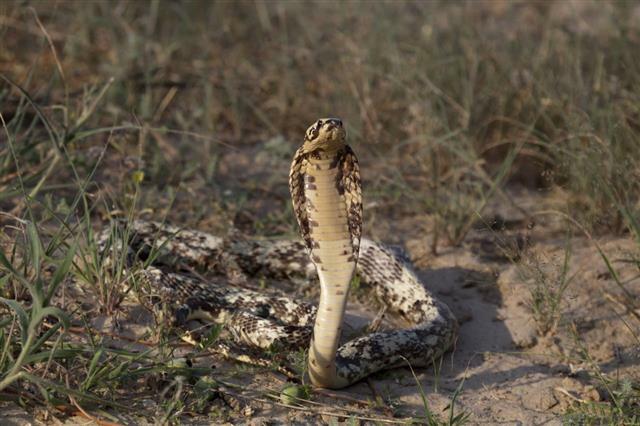 Some snakes kill their prey by biting it and releasing their toxic venom. The Venom works in two ways, it kills the prey and also starts digesting it before the snake actually eats it. Other snakes constrict their preys to the point they suffocate or the spinal cord breaks, these snakes have often swallowed a live prey too. There are around 3000 snake species in the world, and about 375 of these are venomous.The venom of a king cobra, the world's largest poisonous snake is capable of killing an elephant. A spitting cobra can spit venom at a perceived target about 5-7 feet away. If it gets into the eye of the prey or a human passing by, it can permanent blinding effect. 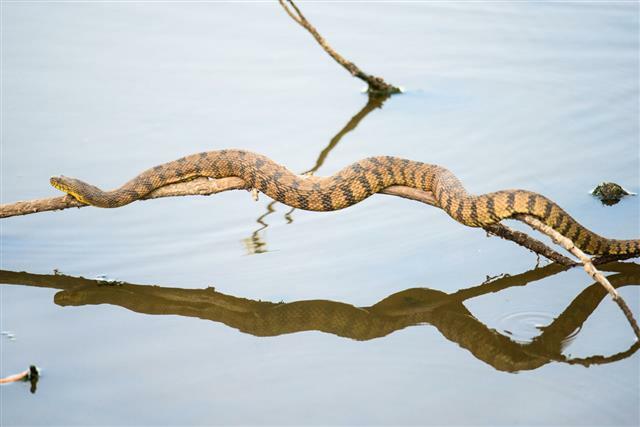 All snakes are born swimmers. They swim by moving their body in lateral, wavelike movements, which start from their head continuing down to their tail. 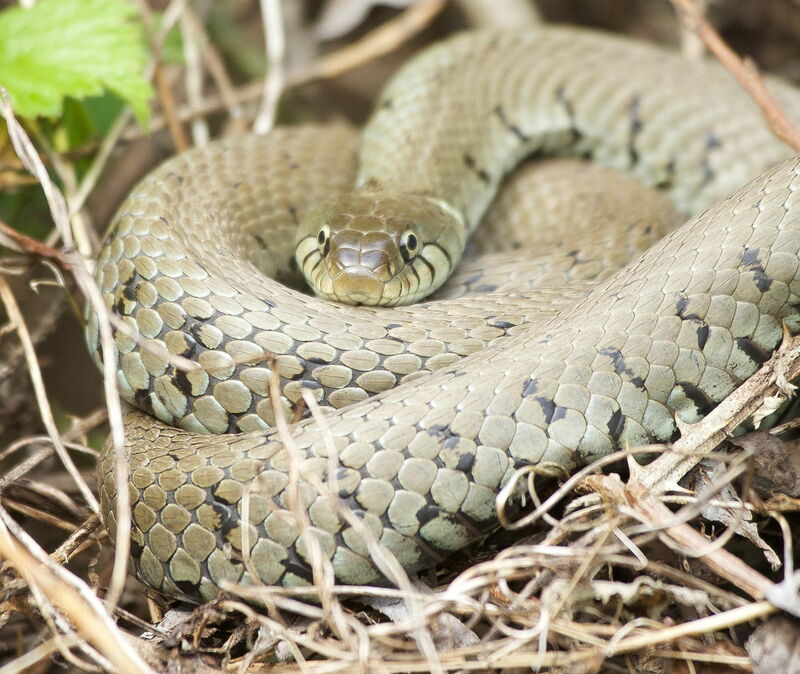 Snakes sleep with their eyes open, as they lack eyelids. After a heavy meal, snakes tend to sleep for days or even weeks. In winters, they even fall into deep sleep for months. Most snakes usually reproduce once in a year. Sea snakes can mate only once every 10 years! 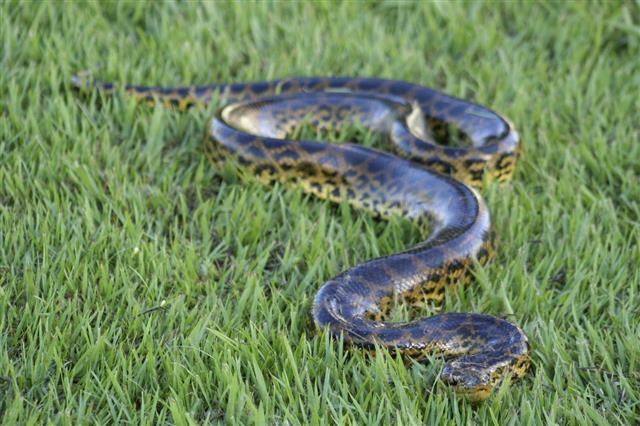 From enormous ones like the python, who can swallow animals as large as a deer whole, to snakes that are just a few inches long, snakes can be found in all types of habitats. While some climb trees, others live underground, and still others are found in waters of lakes and even seas. 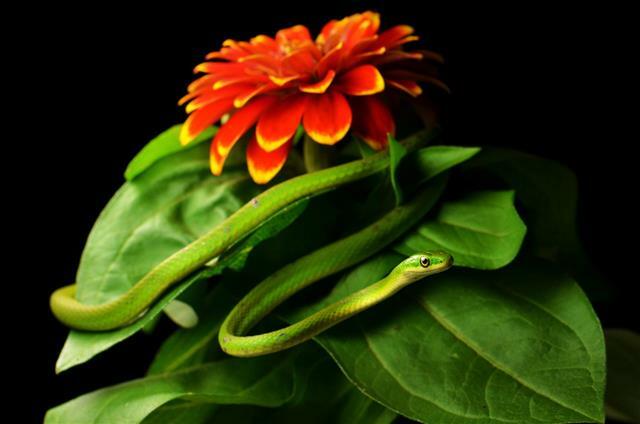 Snakes occur in a large variety of colors, ranging from dull to brilliant hues with striking patterns. Snakes that have dull coloring use it for camouflage, while those that are brightly colored are usually poisonous. They use their bright colors to warn predators to stay off. 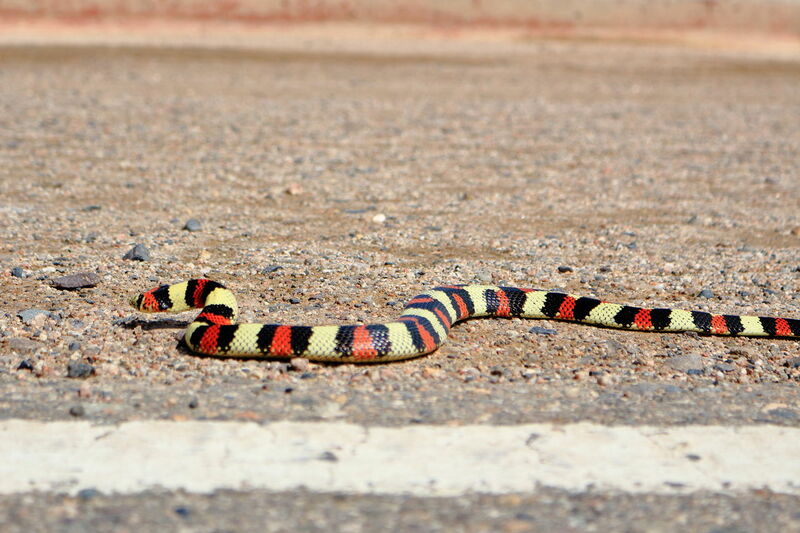 Some non-poisonous snakes mimic the patterns and bright colors of poisonous snakes to fool predators. The scarlet snake is one such mimicking snake, who mimicks the deadly coral snake. As for the size, while the anaconda can grow up to 38 feet in length, the Brahminy blind snake is just 2 inches long, making it the smallest snake. Snakes occur practically all over the world, apart from places like Greenland, Iceland, and Antarctica. However, it is in the tropical regions of the world where most snakes are found. 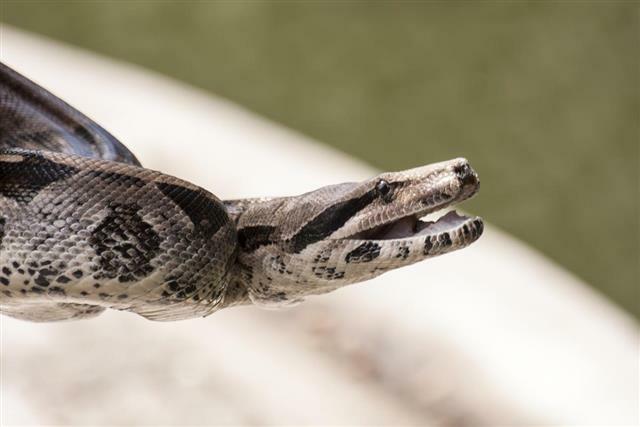 Like all reptiles, snakes are cold-blooded, which means they do not have the ability of generating adequate amounts of heat in order to keep their body temperature at a constant level. Instead, they are dependent on heat from their surroundings and the sun to control the temperature of their body. This is the reason most snake species are found in humid and warm climes of tropical regions. 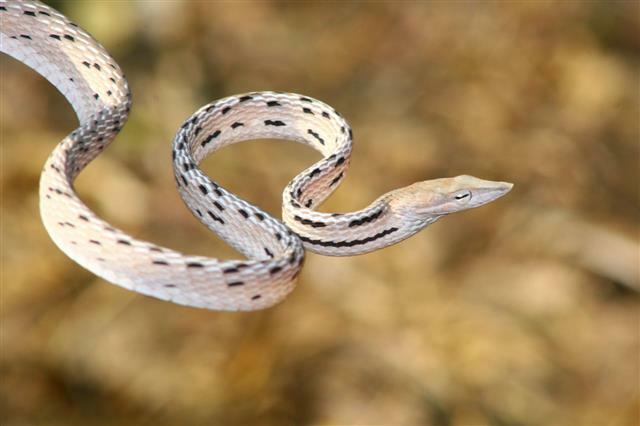 Snakes are reptiles with an elongated body that is flexible and limbless. A snake's body frame is dependent on the habitat they live in. For example, snakes that burrow underground have a tendency of being more compact, whereas the types that live in trees tend to be slender and long equipped with a prehensile tail which they use to grasp branches, while the body of aquatic snakes is generally flattened. Snakes do not have any eyelids; instead, a transparent scale protects their eyes. Also, they are deaf to airborne sounds, and they 'hear' by picking up vibrations through their jawbones. 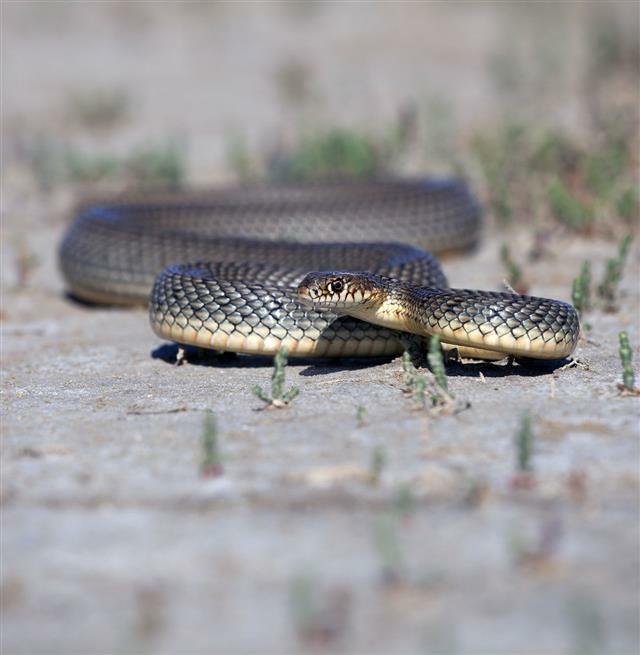 The part of body in direct contact with the ground, have incredible sensitive stereo hearing, which enables a snake to sense and detect the position of prey. Snakes use their forked tongue to smell. The tongue gathers particles that are airborne which it then passes to the Jacobson's Organ, a specialized organ located on the roof of the snake's mouth, that gives a directional sense of smell and taste simultaneously. Therefore, to determine the presence of prey or predators in the local environment, the snakes keep their tongue constantly in motion. 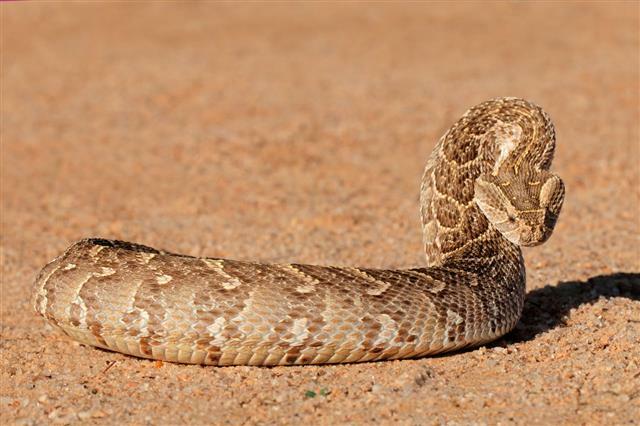 A venomous snake usually has a broader head that bulges out behind its eyes where it stores its venom. All snakes are purely carnivorous. As they cannot bite or chew their food to pieces, they have to swallow the prey. Snakes have more than 230 teeth, which are pointed backwards; they use these teeth to bite and grip their prey securely. 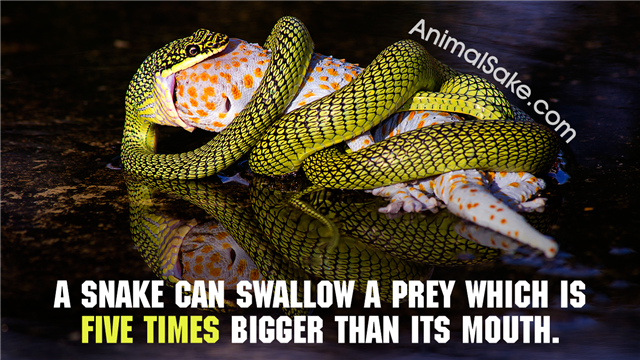 Snakes have a unique ability of swallowing prey three times larger than their mouth. They can do this because of the special tendons located in their mouth, which are highly stretchable and because the two halves of their jaws are not attached to each other rigidly. Snakes have the ability of surviving without food for many days at a stretch after having a filling meal. This is because they have a slow rate of metabolism. 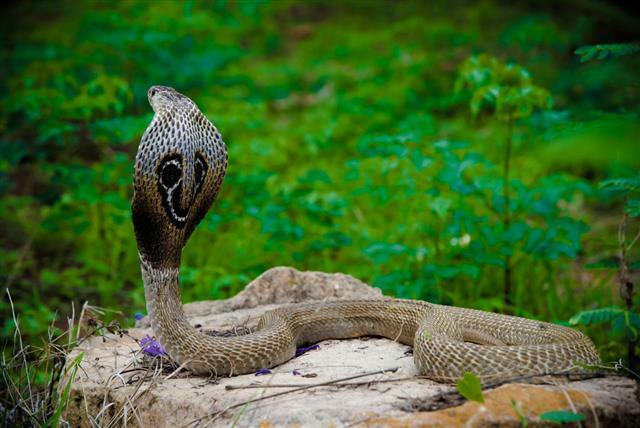 In fact, the King Cobra, for example, can go for months without food. 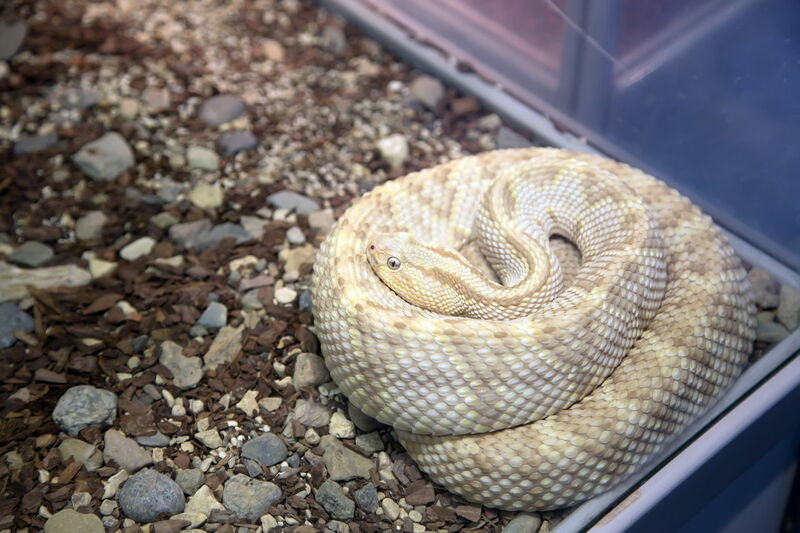 The snake's heart is able to move around its body. This adjustment protects the heart when a large prey passes through the esophagus. 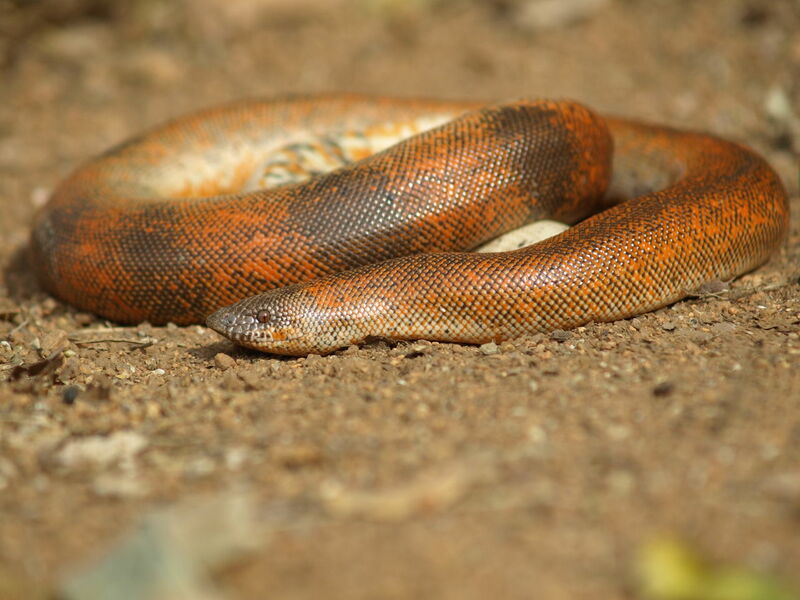 A snake becomes dormant after eating, while digestion takes place. Digestion in snakes is an intense activity, therefore if disturbed during the course, snake tends to vomit its prey to be able to escape the percieved threat. If undisturbed the snake's digestive enzymes dissolve and absorb everything but the prey's hair and claws, which are eliminated through its excreta. In some countries snake is also thought of as food. Snake soup is considered good, to warm up the consumer's body during cold weather. Snake's blood is usually mixed with liquor to improve its taste in most parts of the world. Snakes shed their skin regularly as they grow, a process known as molting. 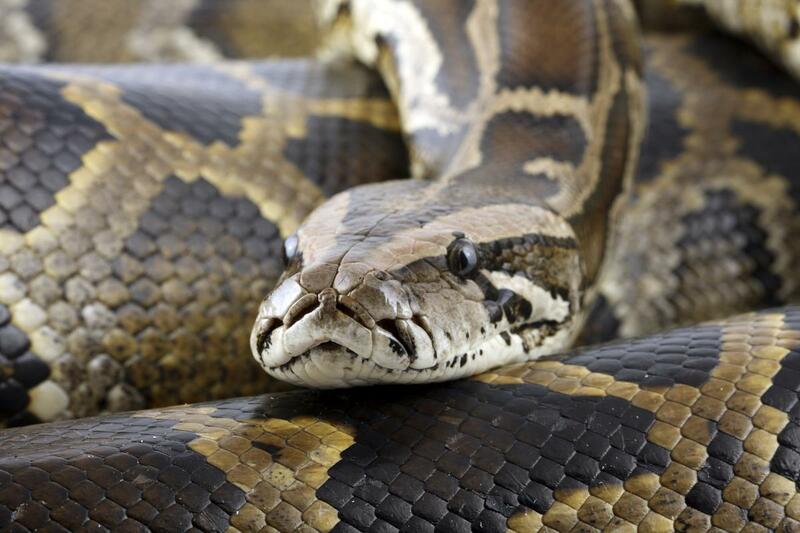 Snakes shed their skin by rubbing their head against something rough and hard, like a piece of wood or a rock. This causes the skin, which is already stretched, to split open resulting in the skin to peel off from its head. This enables the snake to crawl out, turning the skin inside out. 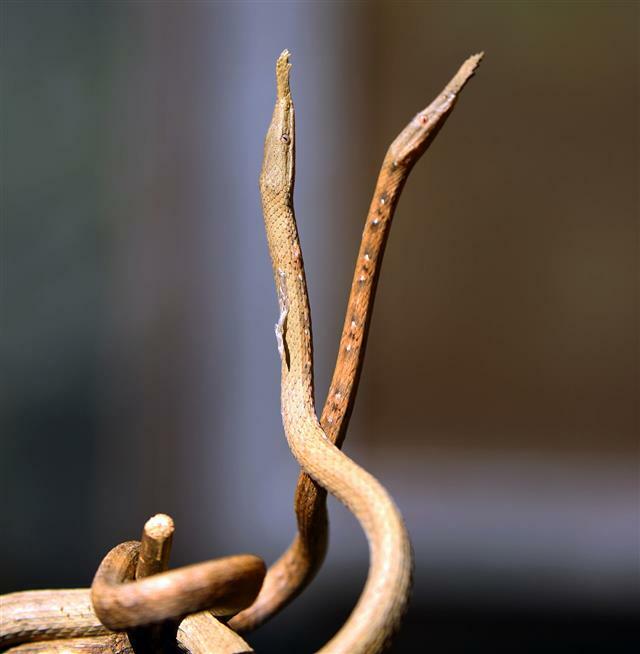 Older snakes may shed only twice a year, however the younger snake, may shed up to 4 times in a year. Snakes usually mate in colder climates. The interesting thing here is, male snakes try to attract attention of a female snake by fighting with other male snakes who also want the same female snake. Here, they do not intend to kill each other, only try to win the fight. Females give birth to baby snakes in about 2 months, however they abandon the eggs shortly after laying them. 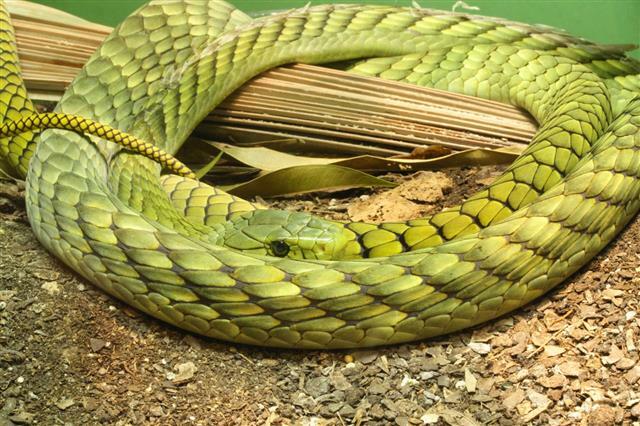 Some snakes retain the eggs within their bodies until they are ready to hatch. These babies are born covered with a thin membrane. The baby uses an egg tooth to rip off the membrane and crawl free. 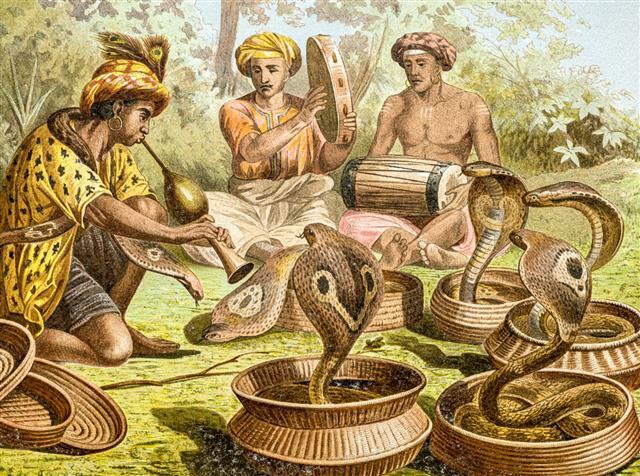 In some parts of the world, snake charming is a roadside show performed by a charmer who seemingly charms the snake by playing tunes from his flute-like instrument, to which the snake sways. However, the truth is the snake lacks external ears and responds to the movement of flute, not the noise. Being extremely shy animals, we are just beginning to learn more interesting facts about snakes. However, many of their species are disappearing completely for various reasons like being wantonly killed due to fear or for their skins, while their habitats are being continuously eroded and destroyed by us. What do Garden Snakes Eat?